You might have heard a lot of talk about heat pumps lately, but what are they? Well, a heat pump is simply an air conditioner with a few extra parts. What these extra parts do is allow the unit to reverse itself. Instead of blowing cold air in and hot air out, it does the opposite. This action makes a heat pump the most energy efficient way to heat your home. Burdick Heating knows a lot about heat pumps. Our professionals can give you a new heat pump installation, repair your existing unit or replace it if its time has come. At Burdick Heating, we will take the time to explain to you what the best course of action is. If your current unit is more than 10 years old, you should think about replacing it with a newer model. After our professional heat pump installation, you can start to see up to a 20% savings on your heating and cooling bills. If your unit is being looked at and repaired more often, the most cost efficient move is a new unit. Between service calls and rising energy costs, that old unit might just be taking you to the cleaners. 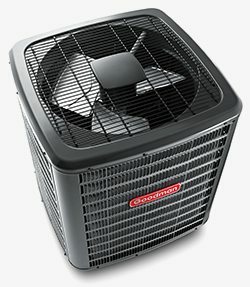 If your rooms are different temperatures, the problem may be in your heating and cooling unit. It may not be. That’s why you need an honest and reputable company as we at Burdick Heating pride ourselves on being. If your unit is noisy, once again it might be a sign for a new heat pump installation. Let us take a look. We won’t steer you wrong. Perhaps you are building a new home. You want those energy rebates and low energy bills so you’ll want every advantage. You’ll want to call us for that edge you’ll need. We at Burdick Heating are well versed in heat pump installation and we’ll bring our prompt, courteous and professional team into your home and give you 100% great service. Our perceptive team will help you choose the heat pump best suited for your new home, like the Daikin units that can deliver between 9,000 and 24,000 BTU/h. With a range like that, we can ensure your home maintains a comfortable air temperature year-round. Once you’ve made your choice we can get into the action of your heat pump installation. Our reliable and knowledgeable team will have your heat pump up and running in no time. We don’t stop there either. We can offer you a maintenance service for your new unit too. 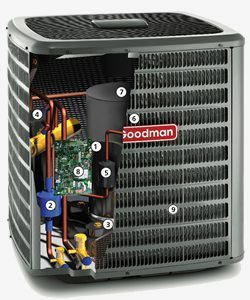 Heat pumps are an investment for your home so it makes sense to take care of it. Just like you keep your car maintained for optimum performance, let us keep your heating and cooling unit in tip-top shape. A yearly check-up can uncover minor problems before they become costly nightmares. We’ll baby the unit you have already too. It might have some time left before it needs to be replaced and here at Burdick Heating we will make sure you get the most out of it. We can check it out and point out all the issues to you. Our repair team will always use the correct parts for your model and you’ll get our same commitment to making you happy. In these times of a greater need for energy efficiency, your heating and cooling company has to be reliable and professional. We at Burdick Heating, a heating and cooling company, we take pride in being that. Call Burdick Heating and feel the security of knowing you called the best.